It's very important to cook with good ingredients. Not everything on sale is really worth the purchase. Near the end of August, I found some salmon fillets on sale at the local grocery store. It wasn't until I got it home and had a good look at it that I realized that the fish didn't look very good. It looked a little freezer burnt and when I defrosted it, it wasn't very pink or very firm. The final result wasn't as tasty as I would've liked, however, I know that it would've tasted much, much better if I had a decent piece of fish. 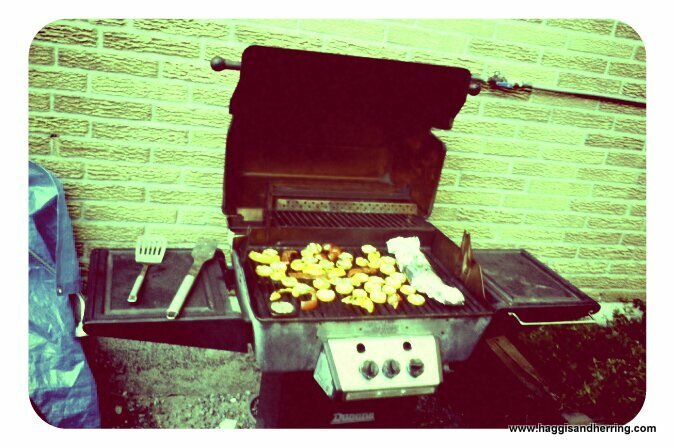 I also should've sliced some onions on top as well to add additional flavour. fun with, so the photo wasn't actually snapped in 1982. 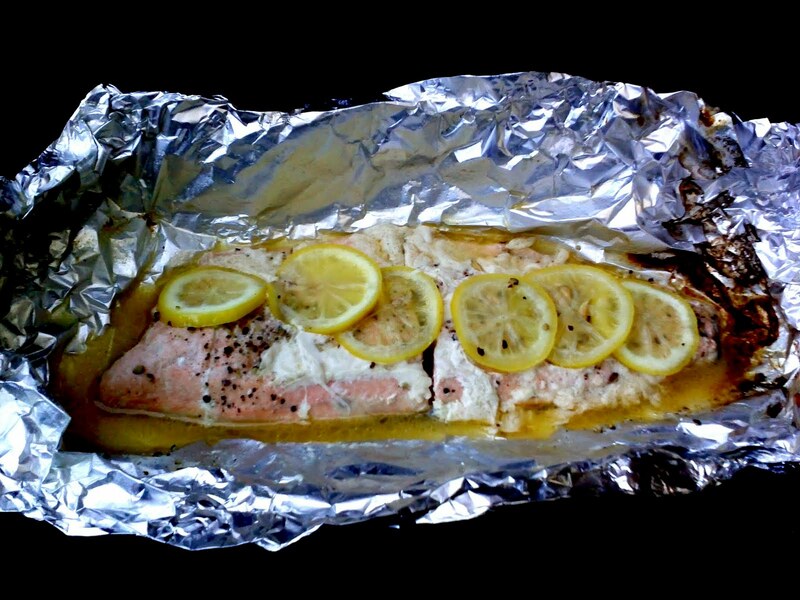 Place salmon on a long stretch of double-thickness (or two sheets of) foil (3-4 feet). Cut the salmon into portions using a sharp knife, being careful to not cut the skin. Squeeze 1/2 lemon over salmon. Arrange butter, sliced lemons and optional onions along the top of the salmon and sprinkle with salt and pepper. Fold foil over fish and turn up edges to create a poaching packet and palce on grill for 15 minutes or until flish flakes easily with a fork. The weather can't decide so it is never too late to hold onto summer with a delcious BBQ!